In this powerful album, Radiant Knife takes the listener on a groove-laden psychedelic journey to outer-space. Radiant Knife‘s Science Fiction is a monument to progressive doom metal, building on the foundations that bands like Intronaut and Mastodon have laid down, before taking the sound to new heights. A predominantly instrumental record, these Louisiana metalheads have taken a leap into my top records of the year with this 8 track stunner. This is the band’s second release, following up their self-titled 2017 EP. 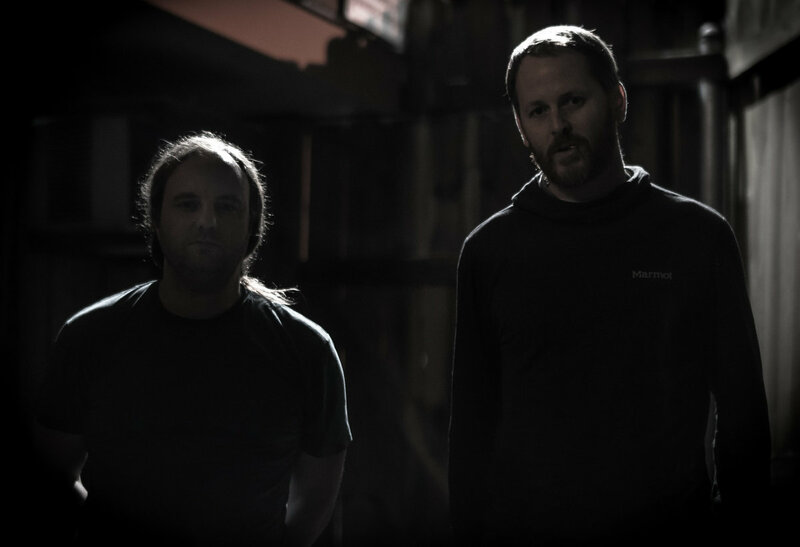 Whilst the band is thrown into the post-metal category, their music is at its very core doom/sludge, with huge drums and catastrophic guitars leading the charge throughout. The band’s tones are rich in sound [and] pulsating with fuzz, which complements the heavily psychedelic nature of the album. Before digging into the band’s bio, you’d think from the volume of layers and deft wall-of-sound that are showcased in Science Fiction that there are 4 or even more members in the group. Yet Radiant Knife is just 2 musicians, utilizing off timings and trippy synths to build an atmosphere around their music that takes listeners on a whirlwind journey through time and space. The title of the album couldn’t be more apt for the content. It is brilliant music to compliment [complement] an Iain M Banks book or your favourite space RPG but certainly doesn’t lend itself to just those situations. Live I can see the music being almost tantric – the booming chords sure to get heads banging and people grooving. I also drew comparisons to space proggers DVNE‘s Asheran, owing to the majestic way this album flies you from one sonic plane to another. Opening track “Stereo Lords” has one of the most engaging openers to a record I’ve heard this year. The excellent groove that is unleashed upon the listener builds to a crescendo, before being replaced by an even bouncier riff that somehow takes the song to an even dizzier high. Only ethereal howls are utilised vocally in this song, so strap in for 5 minutes of relentless instrumentation from Radiant Knife. The next track “Wasted Minds” is one of the best to point to when throwing out comparisons like Intronaut. The filtered vocals play against the outrageous roar of the guitars, and the structure of the album completely changes 2 or 3 times before ending up with a familiar groove, similar to what you hear in Habitual Levitations. Throughout the album, the songs are engaging and, for a doom/sludge album, evoke a lot of positive emotions. I found a lot of the songs, considering the destructive nature of the tones, to be pretty uplifting and energetic. However some songs like “The Human Condition” do a number on those emotions and take the listener to a different head-space that feels desperate and hollow, with the sound complimenting [complementing] this brilliantly. A droning guitar leads the charge with quick changes in drum pace, creating a mentally crushing nature to the song. The strong instrumental sections could also be likened to bands like Elder and in the same fashion, I feel Radiant Knife have captured what a number of bands forget; that the groove leads the song in doom/sludge, not the vocals. The album is weightier at points because it’s instrumental and, over the 50 minute run time, there is a lot to sink your teeth into, but I never got bored by the tracks. It’s important to let them wash over you instead of trying to get excited by every switch in the music. I love the way you can sink into the cushions of fuzz the guitars pump out. It’s certainly worth your time loading this into your transponder, tight beaming it to your friends and engaging all thrusters on your speakers for Science Fiction. Next PostThe Pineapple Thief - "Dissolution"